A cute story with a lesson at the end. 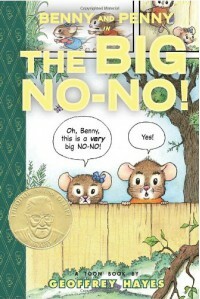 Story involves two mice children who go on an adventure in the neighbor's yard when they hear that they have a new neighbor from their mother. They end up making a quick judgement about the new neighbor's kid, and it ends up being resolved with everyone happy.